There are 49 reviews of Tom Ford Extreme. This is at another level. The long note listing doesn’t really do it justice - to my nose, none of the individual notes are that indiscernable but together they create a complex fragrance with a character of its own - ever so slightly dark-fruity, with a faint tinge of peaty-whisky, but also clean and classy. It’s warm and cosy but smart at the same time. The performance isn’t great (it’s actually terrible!) - the scent lasts on the skin a couple of hours but has no projection after the first hour or so (and no sillage to speak of at all). It’s a real shame because the scent itself is in a class of its own. Leathery, fruity, boozy, and rightly "extreme-ized" signature scent from Tom Ford. The fragrance triangle illustrates just how much went in to the creation of this rich, deep scent! Comparisons to Amouage scents are on point, for Tom Ford Extreme has that high-end, no-holds barred experimental quality yielding a very, very classy gentleman's fragrance that says so much to others you are around. It belongs to formal occasions where you'd want to leave a distinguished impression, reflecting this potion so nicely crafted by Tom Ford. This is an absolutely delightful concoction of extremely boozy truffle. It smells like those chocolates that contain liquor in them. Very masculine leaning as well. I am really in love with this scent! Sillage and longevity are both great on my skin. One of the best boozy fragrances ever made in my opinion. This is a fruity leather fragrance, but the leather is in the background, while notes of chocolate and truffle together with some woods create a scent that brings to mind modern gentlemen's clubs, or at least scents that people wear therein. The leading fruit note is an inviting dark plum, the sort one finds in rich plum cakes. While all of this is enthusing and well done, the problem is that the fragrance soon collapses on skin after two hours. The remnant is a standard woody amber that's very commonplace, and only half a notch above in quality compared to average mall scents. A hint of the earlier extravaganza does linger on, but it's too little and more of a consolation than an aftertaste. Shows a lot of promise, but eventually underwhelming and disappointing. I also find Tom Ford Extreme to have close sillage that becomes more faint over the hours, and duration is about five hours which is sub par for its style. Among similar fragrances I find Plum Japonais a more interesting proposition since, unlike Tom Ford Extreme, Plum Japonais holds on well to its initial interesting accord of plum with woods and amber. Some people complain about the name Vs the performances of this fragrance. Here “Extreme” is much more in the sense of "a character or kind farthest removed from the ordinary or average” to quote the dictionary. It's in its uniqueness and complexity that it perfectly deserves its name especially compared to TF for Men which is very conservative. It could have easily been in the Private Blend because of that, plus its ingredients as you can clearly notice their quality. But instead it's rather lost in between Ford's regular and higher end lines, even in price. And it's a shame. 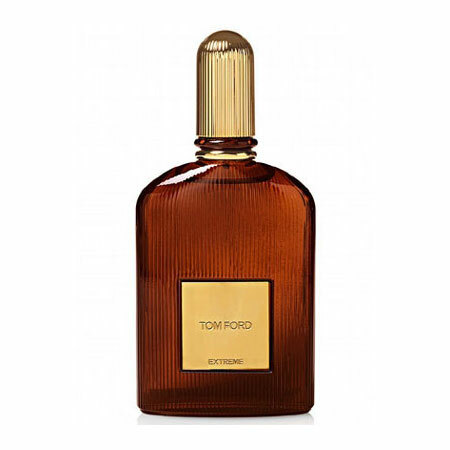 Tom Ford Men Extreme is rich with incenses and quite leathery (On the verge of being rubbery). It's earthy but very, very smooth at the same time. It's somewhat boozy, masculine and with an important and fantastic combination of fungal black truffle, just a bit of caramel and a main purple fruits accord of plum and fig with its unique savory side. It's joined by lemon, violet and basil in the early stage to give a slightly brighter side to this dark fragrance. I believe it can be a loved one for fans of Amouage Jubilation 25, Varvatos Dark Rebel and John Varvatos or Olfactive Studio Chambre Noire. This is a mature scent in my eye. It's a grown man one. It's cozy and inviting enough to be a "romantic" scent but also quite mature and serious so it can be a perfect business/office one as well. Make sure to properly try this very underrated, misjudged and inadequately marketed fragrance! You could be among us lucky ones to fully enjoy this gem. One of my all time favorite. 3 x11ml Tom Ford Perfume Oils Velvet Orchid, Oud Wood, Noir Extreme + 3ml GIFT! There are no member images of Tom Ford Extreme yet. Why not be the first? 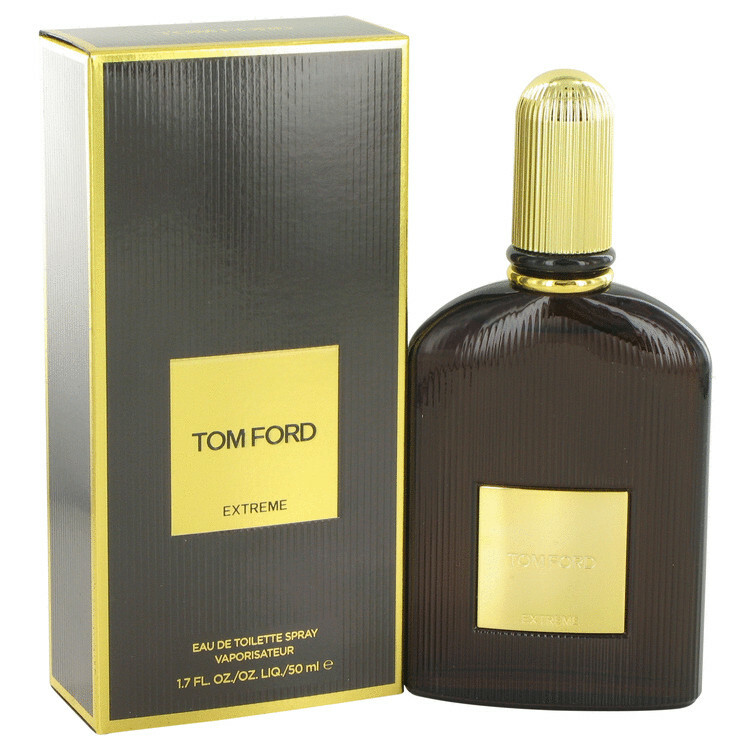 Is Tom Ford Extreme a more "man" version of Black Orchid? Are stories about Tom Ford Extreme's poor longevity true? Indie Guy's Perfume Wardrobe: More is More!